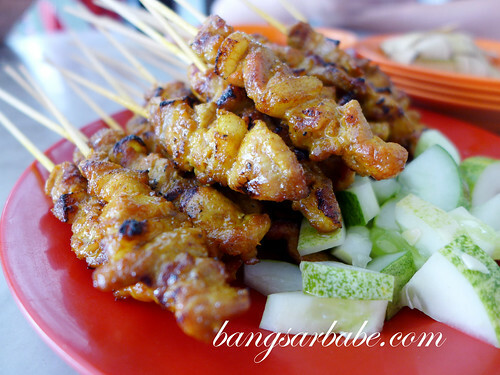 Pork satay is always on our must-eat list whenever rif and I are in Melaka. There’s just something about these skewered pork chunks that leaves us craving for more. Xiang Ji has been our regular pork satay place because the shop is always open (at least whenever I’m in Melaka) and the satay is consistently good. Both rif and his father said that the pork satay stall at Lung Ann along Lorong Hang Jebat is better, but unfortunately for me, the stall isn’t always open for business. It wasn’t until my recent trip to Melaka, that I spotted the uncle fanning away at the charcoal stove. The pork satay was served with chunky peanut-pineapple sauce and I also ordered a portion of nasi impit. 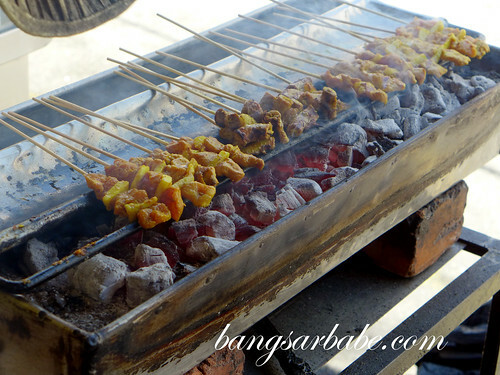 They were right about this satay being tastier than Xiang Ji’s – juicy, slightly fatty and well marinated with smoky-charred edges. That said, the accompanying peanut sauce lacked the tangy flavour from the pineapple. While Ken thought it was tastier, I like mine with a bit more zest. 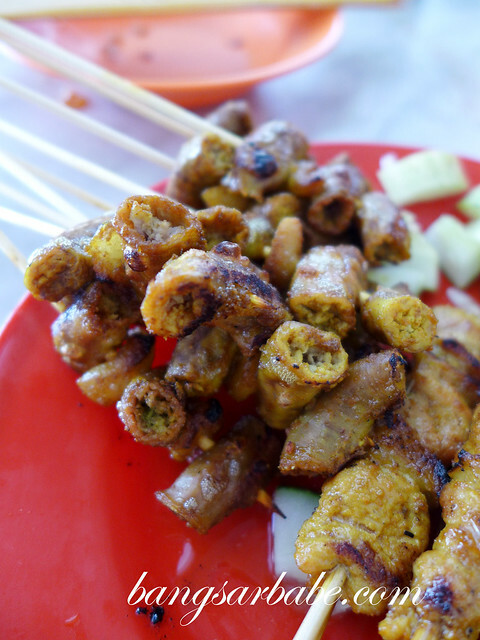 Besides pork satay, I also had the offal satay – probably one of the few times I indulge in offal. All the unpleasant odour was masked by the seasoning and turmeric powder, and like the pork satay, the offal version boasted crisp edges and a lightly chewy centre. The three of us initially agreed on getting just 30 sticks of pork satay and 10 sticks of offal satay, but we ended up with 60 sticks of pork satay and 20 sticks of offal satay. Addictive stuff! A stick costs RM0.70 and if I’m not mistaken, the nasi impit is RM1 per serving. Too bad this stall isn’t open all the time. I’ve included the contact number of the owner, so do call ahead to avoid disappointment. Verdict: The pork and offal satay is good. 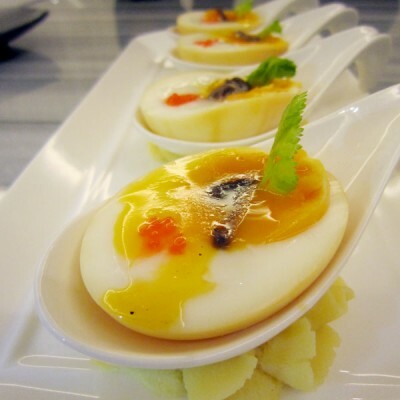 Give this a try when you’re in Melaka. Excellent description and photos! I will be travelling to Melaka next week, and hopefully will be able to have a taste of the satay, as well as the fish soup in the coffee shop too. 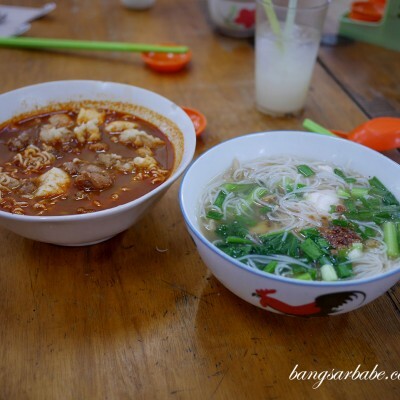 i found that stall at Happy Restaurant (Xi Lin Men) shoplot at Jalan Klebang Kecil (the stall is opposite chinese temple located at Jalan Pokok Mangga/Jalan Klebang Kecil’s traffic light junction). 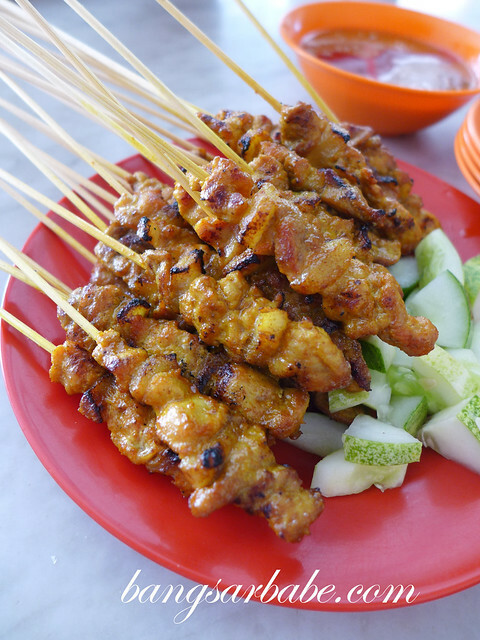 The satay meat is tender and the satay peanut sauce is very good, the more you eat, the better it become. I love the pork satay and offal satay. 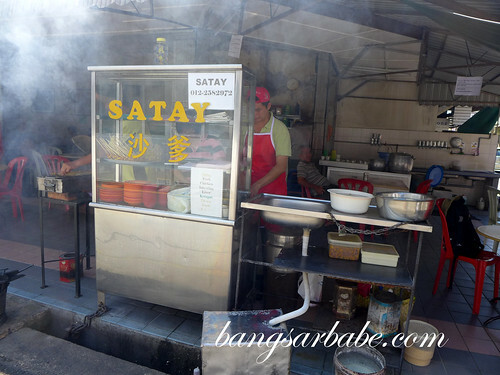 if you happen to be in melaka, you can go to this restaurant for satay. 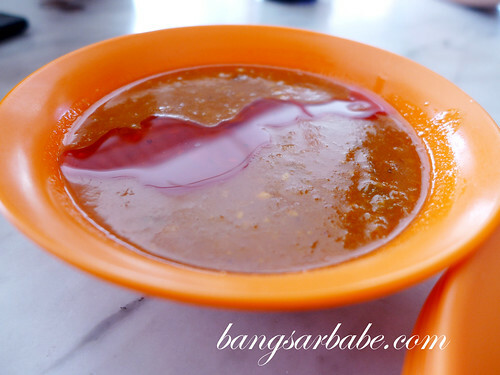 The seller is baba & nyonya, so their peanut sauce taste good and thick. * open from 5.30pm-9pm, but during weekend please go before 8pm to avoid disappointed.